We had a retirement party for Ann DeCamp today in Rahway. Ann has been a colleague for over 25 years. She will now be able to sepend more time with her family and her photography (Ann De Camp Photography). Best Wishes. 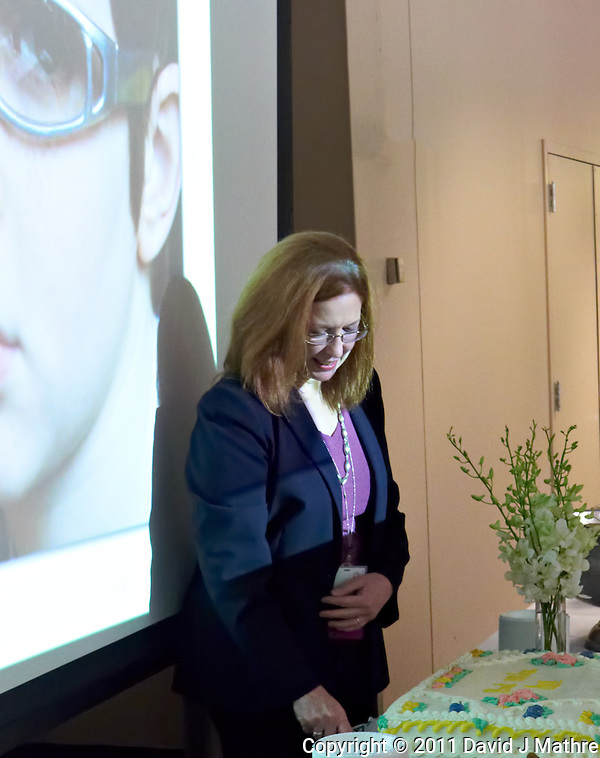 Ann DeCamp Slicing Her Retirement Party Cake. Image taken with a Leica D-Lux 5 camera (ISO 800, 14.9 mm, f/3, 1/80 sec). Raw image processed with Capture One Pro, Focus Magic, Topaz DeNoise 5, and Photoshop CS5. 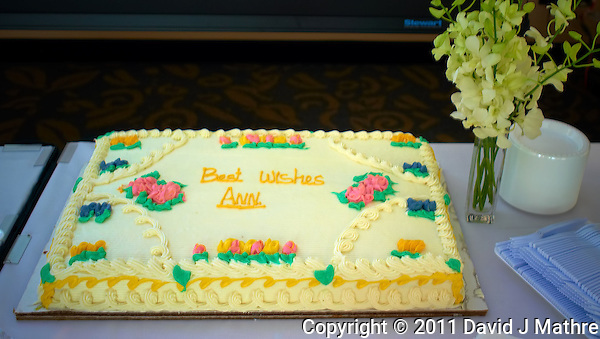 Ann DeCamp Retirement Party Cake. Image taken with a Leica X1 camera (ISO 400, 24 mm, f/2.8, 1/30 sec). Raw image processed with Capture One Pro, Focus Magic, Topaz DeNoise 5, and Photoshop CS5.